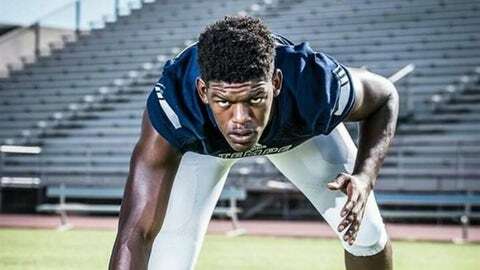 Arizona recruit My-King Johnson is 6-foot-4 and 225 pounds. He signed a national letter of intent to be a Wildcat in January. Rich Rodriguez and his staff hope the Tempe High School defensive lineman will have a big impact on the program — and not only because he amassed 22 sacks as a junior, including 6 1/2 in one late-season game against Seton Catholic. He added 21 1/2 more sacks, 19 tackles for loss and three forced fumbles as a senior. Three of those sacks came against Catalina Foothills, whose quarterback Rhett Rodriguez happens to be Rich Rodriguez’s son and an Arizona signee. Johnson’s performance opened eyes, and now it is giving him a chance to make college football history. My-King Johnson is set to become the first openly gay scholarship player in major college football history, Tucson.com reported. 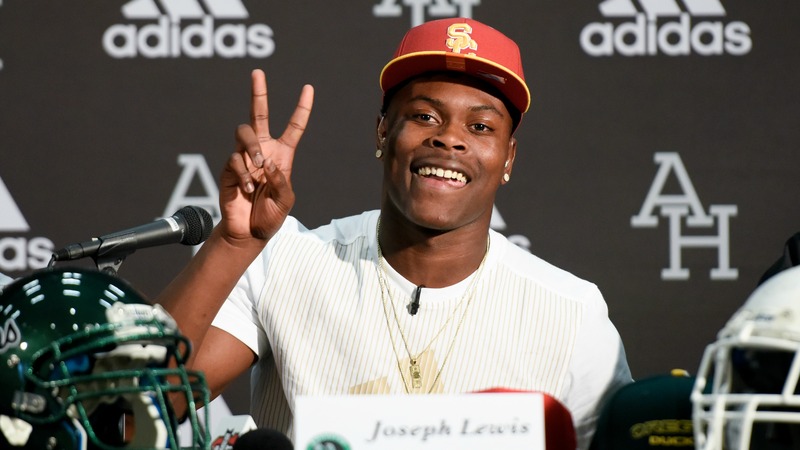 When Johnson’s mom, Nadette Lewis, moved to Seattle two years ago, she told her son he could stay in Tempe with his grandmother if he chose. Johnson opted to do so and starred on the gridiron and classroom, where he carries a 3.8 GPA. My-King Johnson isn’t worried about being a pioneer. He wants to help the Wildcats.